February 26, 2015 (Ulson Gunnar - NEO) - When former-US Secretary of State Hillary Clinton announced the US "pivot to Asia," she and the policy wonks who dreamed it up probably imagined it as a well choreographed geopolitical masterstroke. In reality, it was more like an elephant crashing through the jungle, sending all in its path fleeing for cover well ahead of its arrival. The empty rhetoric accompanying its announcement never materialized. Reading between the lines, what the "pivot" actually meant, was the doubling down on attempts to subvert, corral and otherwise twist the arms of Southeast Asia, South Asia and East Asia into arraying themselves for Washington's convenience and gain, against the growing influence and power of Beijing. American designs have unraveled everywhere from Malaysia to Thailand and the only steps of this pivot still in good form appear to be in Myanmar and the South China Sea where budding political subversion is growing in one and an escalating strategy of tension is growing in the other. Despite these "successes," the prospects of Myanmar resigning itself to a future with close and growing ties to Beijing are unrealistic. Likewise, the notion of a remilitarized Japan somehow containing China is untenable and more so each passing day. Those capitulating today to Washington's attempts to reorder Asia will only be setting their nations back in the years to come when ultimately the "pivot" fails, and all that is left is China and those nations that decided to move forward together with it on its way up. Washington's attempt to convert Southeast Asia into a string of client states to encircle China with has instead resulted in deals to construct new railways connecting Singapore to the southern Chinese city of Kunming, the inclusion of Chinese forces at Thailand's annual "Cobra Gold" military exercises, the complete exposure of Washington's "democracy promoters" in Hong Kong and the removal from politics of two of Washington's long-standing political proxies, Thaksin Shinawatra in Thailand and Anwar Ibrahim in Malaysia. The railway in particular is ironic. It was British and French colonial powers who had long ago mapped out pan-Asian railways to help link their colonial holdings together and help further facilitate the plundering and emptying out of Asia's resources. 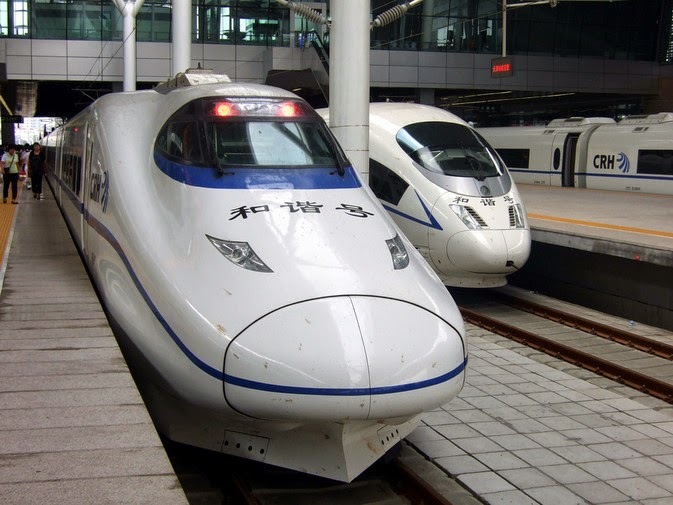 Now, many of these railways are being constructed, but to help further advance interests across Asia and in particular, to connect China rather than encircle and isolate it. In addition to failing to isolate China via a string of client states in Southeast Asia, pressure put on Moscow by Washington in Europe has helped connect China better to its north. 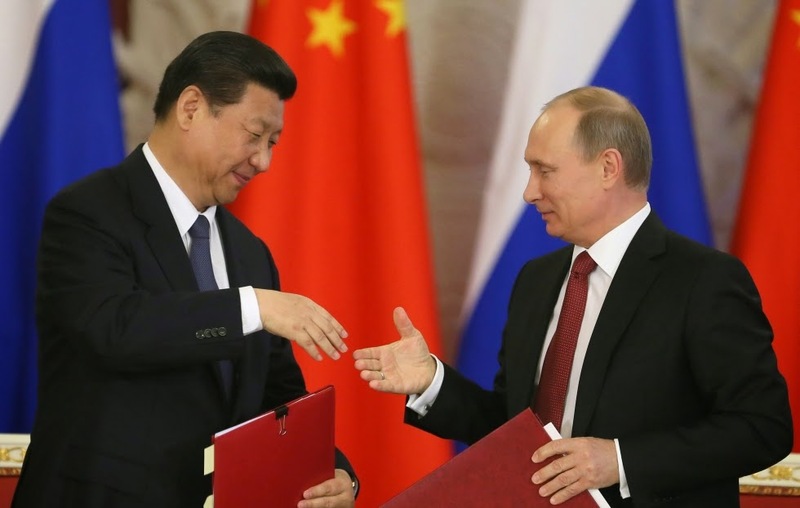 Billions in energy will soon be flowing over the Chinese-Russian border, as are other deals bringing the two emerging superpowers closer together. The fear of China growing beyond its current foreign policy of soft power driven by economics and the building of infrastructure, and into a regional or global hegemon, formed the basis of Washington's arm-twisting and fear mongering throughout the region. Of course, such threats ring hollow when a regional hegemon already exists that menaces peace and stability. China's strategic and economic posture may be growing, but it could hardly afford to pursue the same strategy of "nation building," "regime change" and "democracy promotion" the US currently engages in. In fact, the US cannot afford to either, and the unsustainability of Washington's foreign policy is a lesson that has not been lost on Beijing's decision makers. The unsustainable foreign policy Washington has been pursuing is most likely why Beijing has chosen a completely different tack. It is easier for Beijing to convince its neighbors to engage economically for mutual self-interests, than for Washington to convince Asian states to forsake business with China all while under threat of regime change if they don't. While Asia will not completely shut out the United States, as a local balance of power is struck, the need to bend to Washington's will in exchange for "protection" is becoming increasingly unnecessary. If the United States wants to continue doing business in Asia, it will have to do so on equal terms as a business partner, rather than as a hegemon maintaining a regional protection racket. Understanding this reality and formulating a more realistic and sustainable foreign policy would be the key to a real "pivot," not toward Asia, but away from antiquated notions of hegemony and toward a multi-polar world, that like it or not, is coming and that no amount of "nation building," "regime change" or "democracy promotion" will change. Of course, the Asia that is emerging, integrating under various supranational entities and integrating with China as the center of gravity, could end up the biggest prize of all once completed and if foreign interests were able to co-opt that center. Then dreams of an Asian empire ruled from Washington or London would become a reality, with railways, shipping lanes, highways and regional currencies serving foreign interests in ways the British Empire could only have dreamed of. Asia must therefore balance itself carefully between China's rising power, the West's enduring menace to their national sovereignty and the folly of supranational integration that has mired other parts of the world, particularly Europe in a socioeconomic and political quagmire. Asia's current resilience and economic growth is due precisely because of the firewalls of national sovereignty, national currencies and individual self-interest pursued in the context of mutual self-interest with neighbors. These strengths should be reinforced.